Global ingredients are increasingly important to today’s diners. Millennials have the most adventurous palates, with 39% saying they prefer to visit restaurants that offer ethnic foods and beverages, according to Technomic’s 2016 Generational Consumer Trend Report. But Gen Z and Gen X customers are not far behind, with 31% and 29%, respectively, expressing a desire for more global menu items. Presenting ethnic ingredients in a familiar format is an effective way for operators to introduce global flavors to mainstream menus. Ethnic cheeses adapt well to this strategy. They can easily be swapped in for more conventional choices in grilled cheese sandwiches, cheeseburgers, quesadillas, pizza, salads and other customer favorites. Many of the most popular cheeses on menus have ethnic roots. 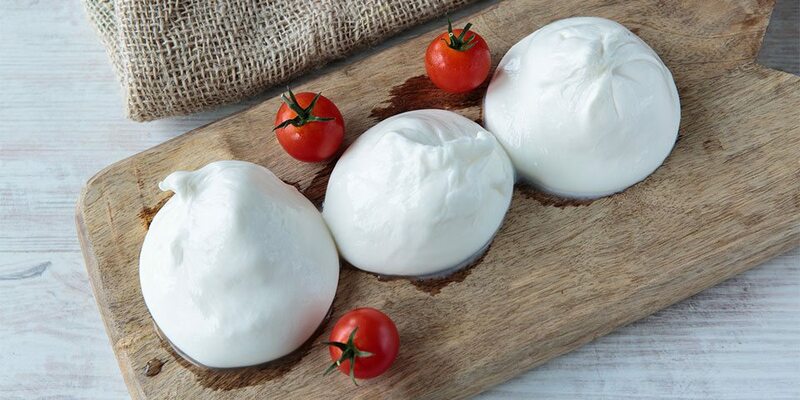 Mozzarella, Parmesan, provolone and ricotta are originally from Italy and feta is from Greece. Menu Stat: Menu mentions of BURRATA—a cheese that’s trending in upscale salads and appetizers—increased 5.4% year over year. The majority of cheeses showing the most growth year over year have global pedigrees. 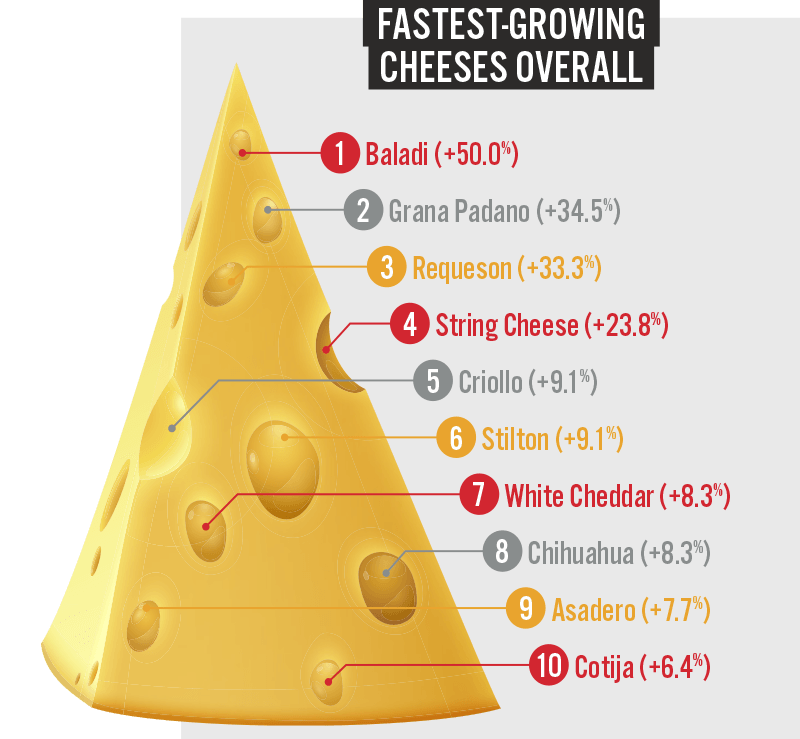 Asadero, cotija, criollo, requeson and chihuahua are all Hispanic cheeses; grana padano is Italian in origin; and baladi is Middle Eastern. But California now produces many of these varieties. Further, the state is the leading producer of Hispanic cheeses, including varieties like semisweet requeson (a Hispanic version of ricotta used in salads, dips and cooked foods and desserts) and asadero (a mild and firm cheese eaten as is on sandwiches and melted in cooked dishes). BALADI mentions are up 50% year over year. Menu mentions of OAXACA cheese increased 2.0% year over year. Feta cheese, a key ingredient in Greek and Middle Eastern dishes, is prevalent in salads, wraps, seafood dishes and other mainstream items in American fast-casual and full-service restaurants. But lesser-known Middle Eastern cheeses are now emerging on menus. 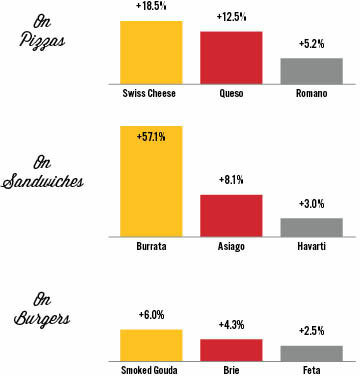 FETA mentions are up 30% in kids menu items year over year. 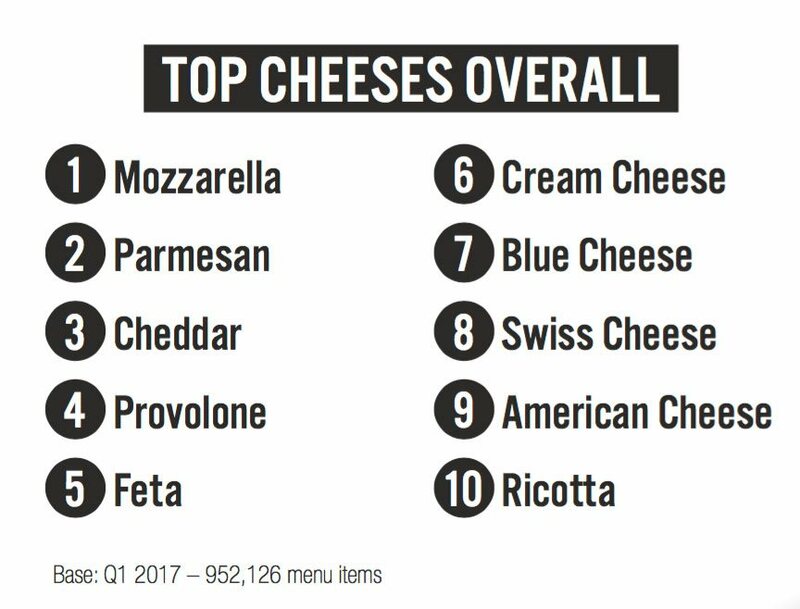 As noted, operators are varying up many traditional favorites with global cheese varieties to appeal to both adventurous and conventional diners alike. Here are some fast-growing global cheeses on perennial favorites.